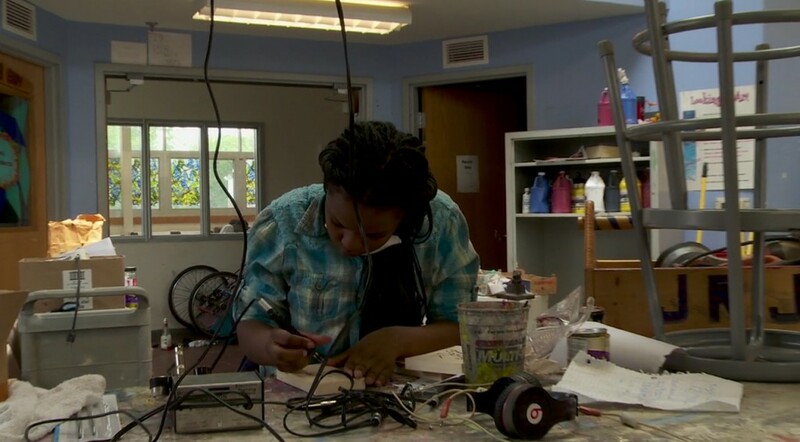 Back in 2014, the Penny W. Stamps School of Art & Design at University of Michigan was awarded a $100,000 Knight Arts Challenge grant for the creation of the Brightmoor Maker Space—a new maker space with the goal of fostering a “wider creative confidence” in the lives of the surrounding Brightmoor community. The project was inspired by the work begun by Bart Eddy, co-founder and superintendent of Detroit Community Schools. The founding mission of Detroit Community Schools is to educate the whole child–head, heart and hands.